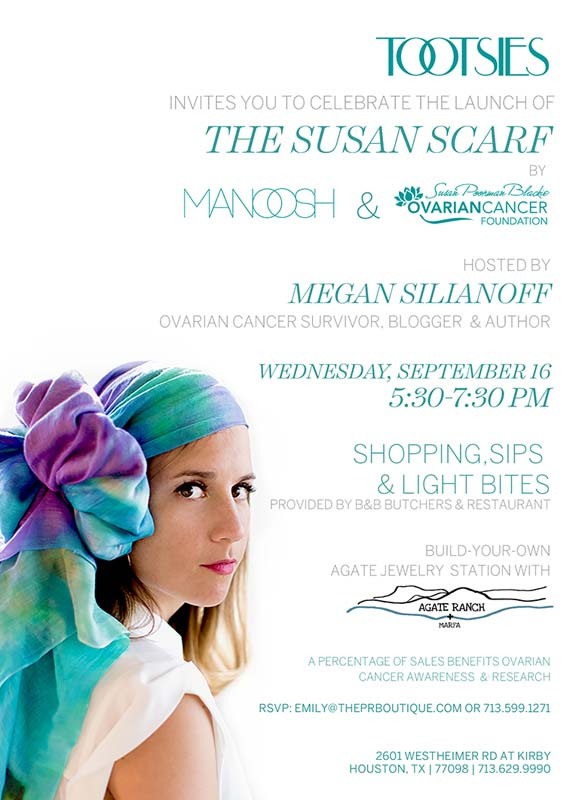 On Wednesday September 16th, Houston’s foremost luxurious retailer- Tootsies– is kicking off National Ovarian Cancer Month by hosting a chic cocktail party. being live sketched by local fashion illustrator, Rongrong DeVoe. Shop for a cause as a percentage of the evening’s sales will be donated to the cause. The event will take place from 5:30-7:30pm. Tootsies is located at 2601 Westheimer (at Kirby)… Houston, TX 77098. RSVP info is on the flyer.